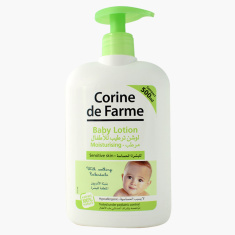 Corine de Farme Baby Lotion Natural Origin - 500 ml | Multicolour | Baby lotion gently cleans and moisturizes all skin types, even sensitive skin. 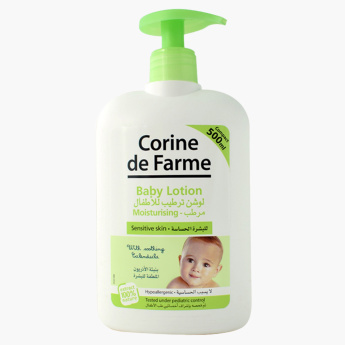 Pick this baby body lotion for your child and give your baby much-needed nourishment. It is made from an organic material that is safe for your child's skin along with hydrating the dry skin. Feature 1 : Baby lotion gently cleans and moisturizes all skin types, even sensitive skin. Feature 3 : Enriched with organic Calendula, it leaves skin soft, smooth and lightly scented. Feature 2 : Alcohol and paraben free.